Letting employees know that you appreciate their hard work not only helps improve your organization but also creates a sense of loyalty among your workers. And, by providing a positive work environment, your employees will feel more motivated to want to go into their jobs every day. Sounds pretty straightforward right? One of the simplest things you can do is tell your employees thank you for a job well done. Whether it’s face to face, through email, or by telephone, be specific on the action they carried out and make the thank you meaningful. Putting together a company outing such as a bowling event or happy hour get together is a fun way to show your appreciation. Also, whenever possible, try and involve your employee’s family members into your events. Not only do employees sometimes make sacrifices to be a part of the organization, but their family members do as well. Those late nights at the office spent meeting project deadlines oftentimes cuts into valuable family time, and some simple recognition of that goes a long way. If you want to give an employee (or several) recognition, you can do it during a team meeting. It’s an easy way to show the rest of your staff that you notice and appreciate the extra efforts the specific individual(s) have shown. Just be prepared that certain employees may not like this option if they are shy or prefer that the spotlight not be on them. Keep a calendar in a central area such as a breakroom that has everyone’s birthday listed. Then, each month you, along with any managers or supervisors can sign birthday cards for your employees. Not only is it fun to get a little surprise in the mail, but it also means that you took the time to recognize your employees on their special day. 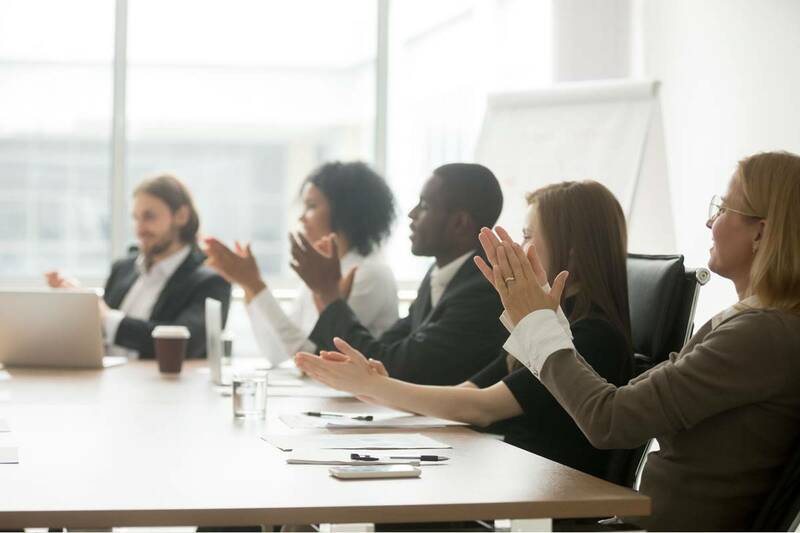 While many employees expect to get recognition after a significant accomplishment occurs, not many anticipate their bosses giving thanks unexpectedly. So, whenever you see fit, whether the task was big or small, take the time to regularly thank your staff when you notice they are doing a great job. When employees reach specific sales goals or get recognized by clients for producing great work, have little items you can give them. Even something small such as $5 gift cards to different stores or restaurants that employees can choose from will be very much appreciated. As a leader, it’s important you give your staff meaningful and consistent praise that’s specific to them. As a result, you will improve loyalty, results, and the overall lives of your employees.